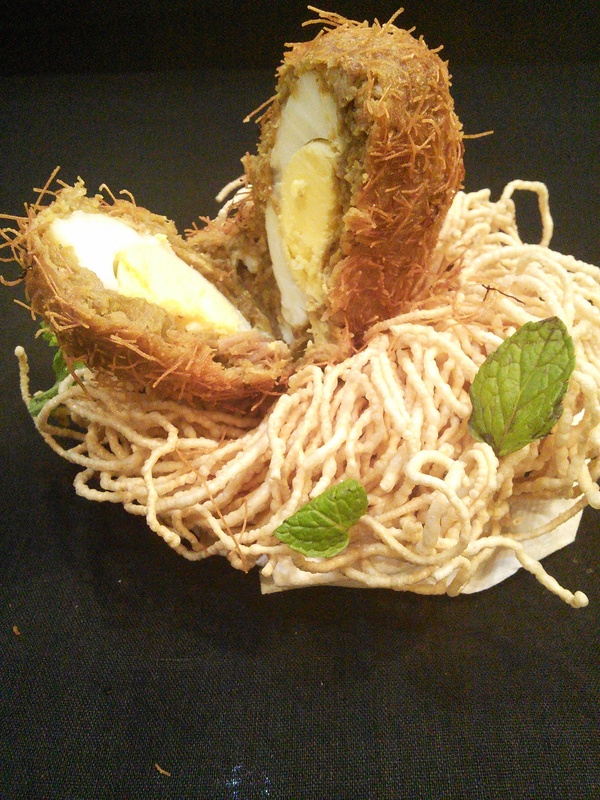 Succulent mouth watering mutton kebab stuffed with a boiled egg…..
Bird’s Nest is a mutton kebab crisp on the outside and soft inside. 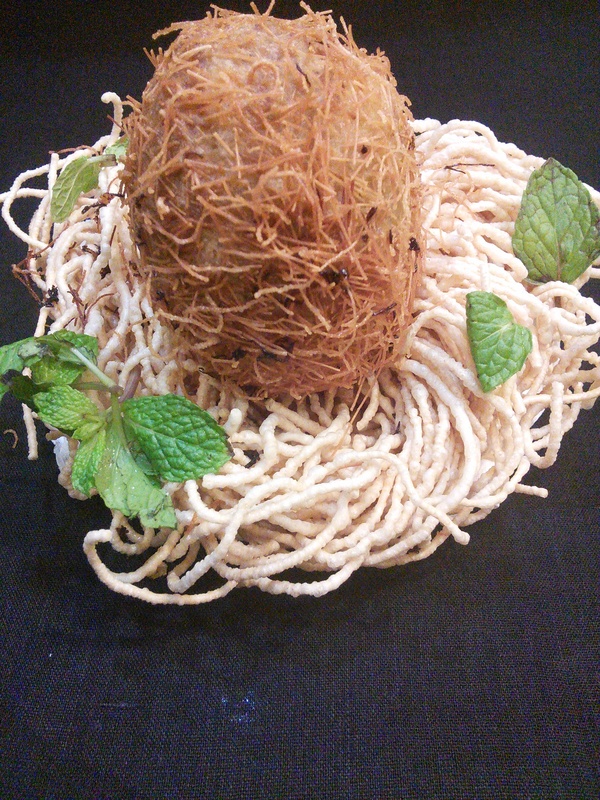 I came up with this name because the kebab is made in the shape of an egg and served over crisply fried rice noodles resembling a nest. The best part is you can prepare this in advance and fry just before serving. No risk dish. Go ahead and give it a try. Boil 250 g mutton with 1 tsp. salt, 1 tsp.red chilli powder, 1 tsp. ginger garlic paste, 1 onion and 1/2 a cup bengal gram. Grind this coarsely and mix some herbs , a tsp. each of cumin and coriander powders. Take a lemon sized portion and stuff with half a boiled egg. 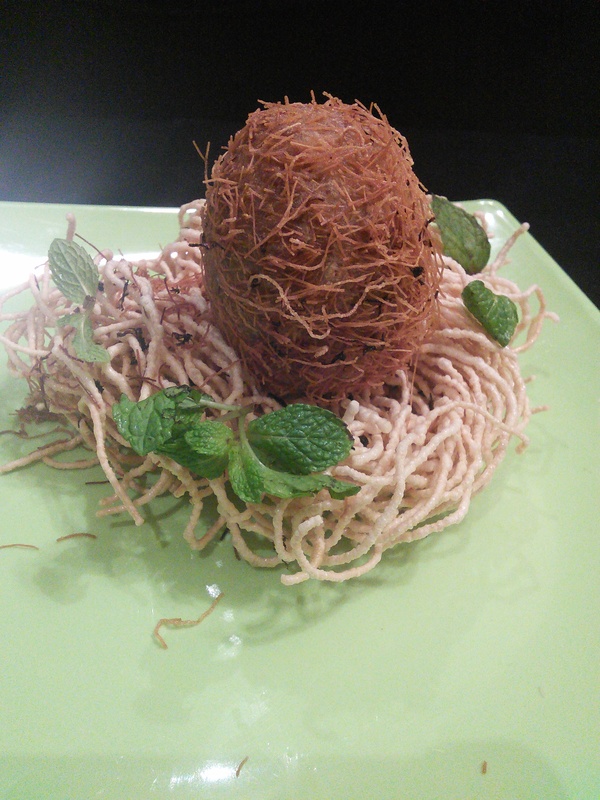 Dust with flour, dip in beaten egg and roll in fine vermicelli(in case of non availability use bread crumbs). Deep fry. Serve hot over crisply fried rice noodles. Enjoy…..